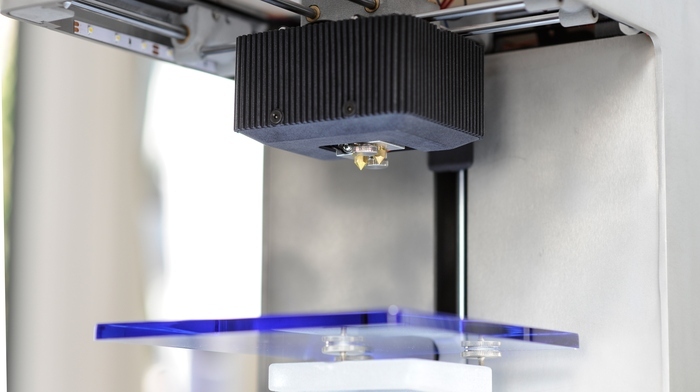 Amongst the many observations made in Gartner’s report on the present and future of the 3D print industry, which was released last week, was one particularly perceptive prediction. 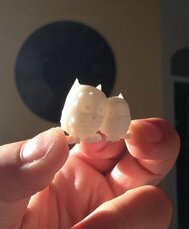 While the IT expert foresaw consistent year-on-year growth for 3D printer sales going well into the future, it also claimed that a more general adoption of 3D printing would not happen until a ‘killer app’ came along, which would make the process more accessible to the non-hobbyist, non-professional print market. Gartner is not alone in this perception. As the last few weeks of crowd-funding activity have proven, there is a tonne of 3D printer manufacturers grasping for the Holy Grail that is an affordable, accessible and, most importantly, widely popular 3D printer. Amongst the many such potential products launched on Kickstarter and Indiegogo in this time have been the backpack-ready LumiFold and the ultra-affordable all-in-one Peachy Printer, while the much touted print-on-the-move Bukito has been given an almost-definite release date. This week, a new contender has come to our attention – The Zim, from Connecticut-based firm Zeepro. With the focus on simplified, high quality, user-friendly printing, The Zim promises an ultra-approachable interface and a minimum of set-up time. A ‘plug-in-and-play’ operation offers customers an easy, four-step process from taking the model out of the box to printing off an item. All you have to do is connect the machine to the web, download a 3D design, open the Zim App and print the object. You don’t even need to monitor the printing process, as a Zim smartphone App is available that connects your phone with a camera in the building platform. So, regardless of your location, you can check in on your model’s progress. 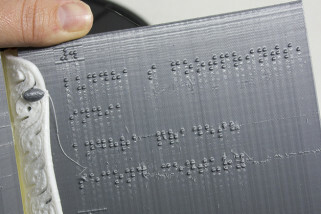 The objects print at a rate of 110 mm per second and can reach a volume of 5.9 x 5.9 x 5.9 inches. 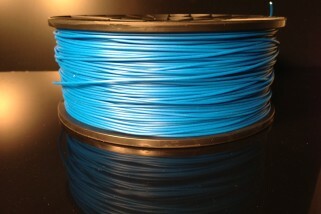 Also, a cartridge system makes loading up new coloured filaments a quick, low-stress task, while the double extruder allows you to print two colours at once or use one extruder to release a water soluble PVA. After launching on Kickstarter in mid-September, it’s clocked up $235,789 of its $300,000 goal, with 273 backers already behind the project. It should still make its target by the final day of the campaign on the 23rd October, though it has not quite had the avalanche of support enjoyed by the above-mentioned devices. The Peachy smashed its $50,000 target in a few hours and now has a kitty of $563,390. The LumiFold enjoyed similar success on its Indiegogo project, with its more affordable target of $1,500 broken instantly, while the total now stands at $6,700. Of course, The Zim’s goal is far higher than the Peachy’s or the LumiFold’s. Investors in The Zim also need to promise $599 to get their hands on their own model, while $100 gets you a Peachy Printer kit and $390 gets you a LumiFold. It should also be mentioned that, on the basis of the campaign pages alone, The Zim looks like a rather more complete, tested, sophisticated model than these other crowd-funded devices. In fact, under the ‘Why We Need You’ section Zeepro claims it just needs the funds to support its first production batch – all the development, prototyping and testing is already done. Therefore, it makes better sense to compare The Zim to the consumer devices currently on the market. 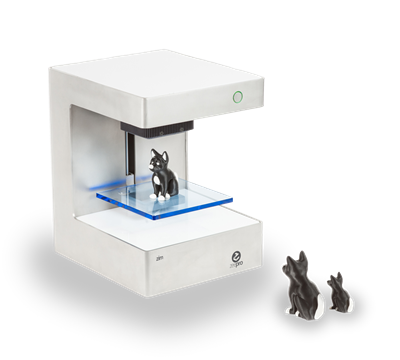 While it can’t build objects to the same volume as the Makerbot Replicator 2X, the Zim is quicker by 10 mm per second and is a far more portable, lighter machine. Plus, unlike the Makerbot, The Zim will be Wi-Fi and Ethernet connectable. It’s more versatile than Cubify’s Cube and the Buccaneer too, neither of which offer 2 colour printing and come with notably slow printing speeds. If there is a consumer 3D printing market up for grabs at the moment, The Zim may well be the device to take its attention when it goes on general release next year.